Built for winter, when the floor is cold and it's dark before dinner. 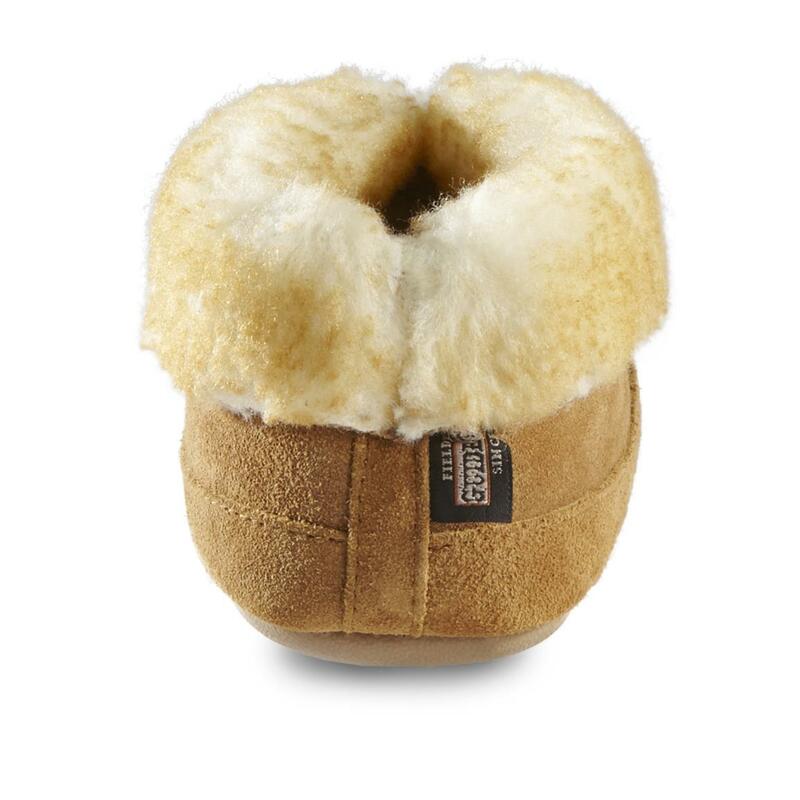 When socks just won't cut it, wrap your feet in the feel-good warmth and comfort of our Guide Gear® Bootie Slippers. 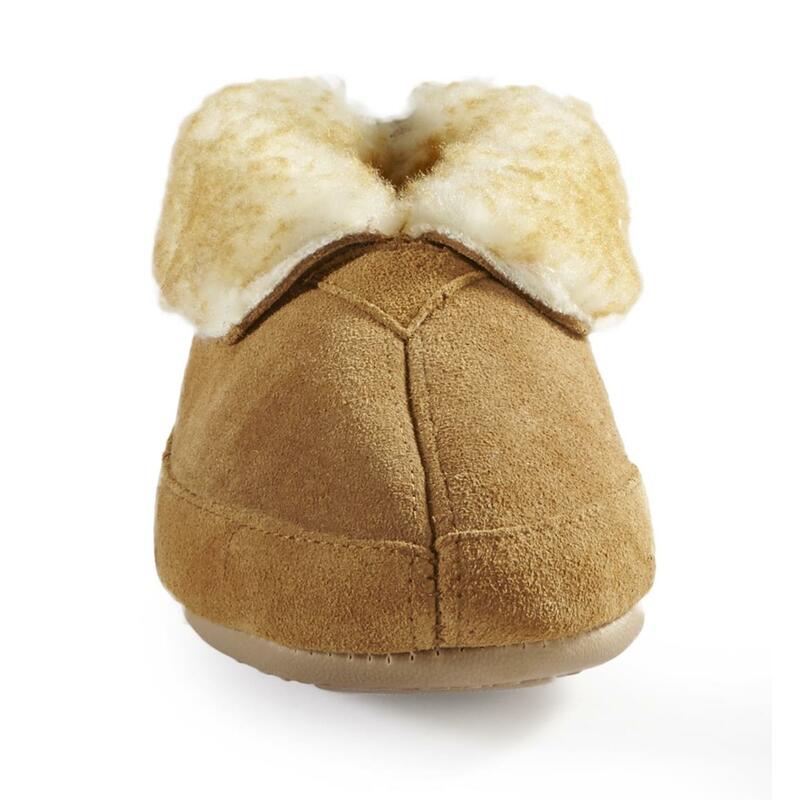 You'll love the cozy, moisture-wicking warmth of the sheep's-wool blend lining. Plus, the genuine cowhide suede uppers are built to last. 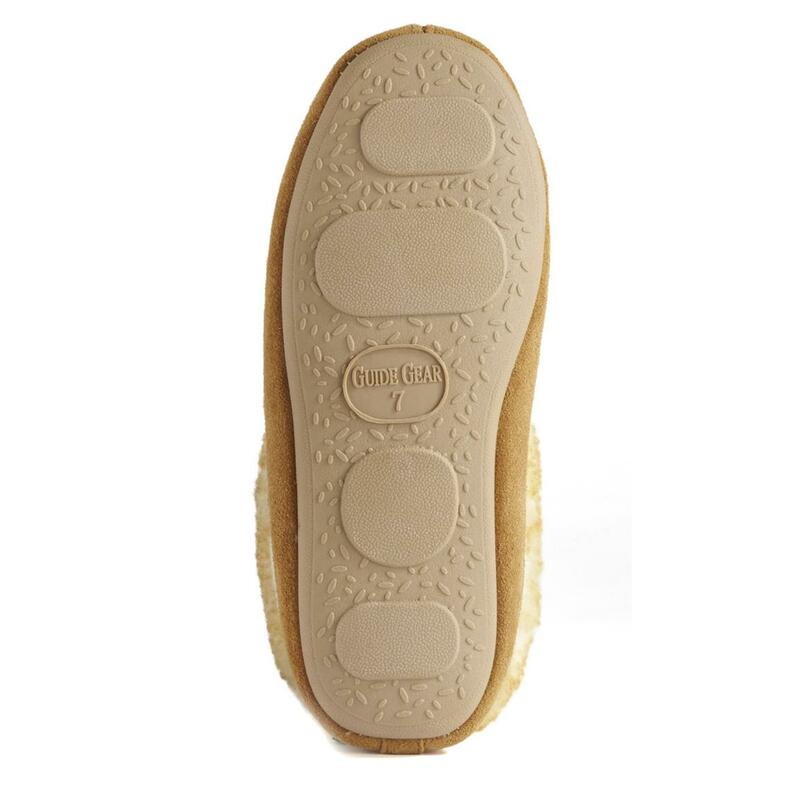 And the durable rubber outsole has you covered in case the paperboy comes up short and you have to take a few steps down the sidewalk. Don't be left in the cold…order now! 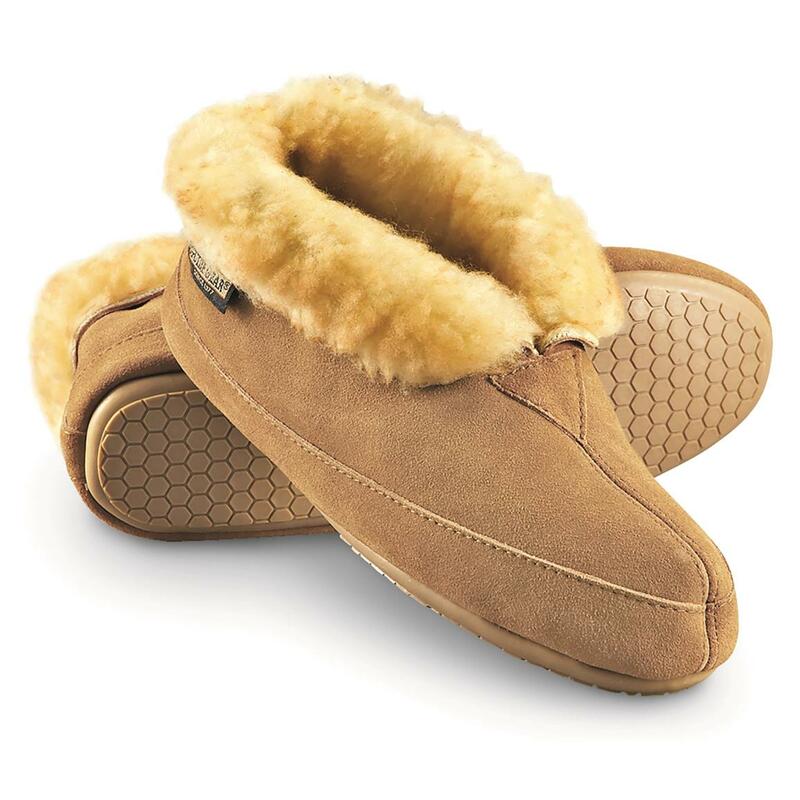 Guide Gear Womens Wool Roll Bootie Slippers is rated 4.5 out of 5 by 268. Rated 1 out of 5 by Sofie from Runs small Could not get my foot into the slipper. Had to return them. Otherwise they looked comfy. Rated 5 out of 5 by RC75 from Keeps wife happy! 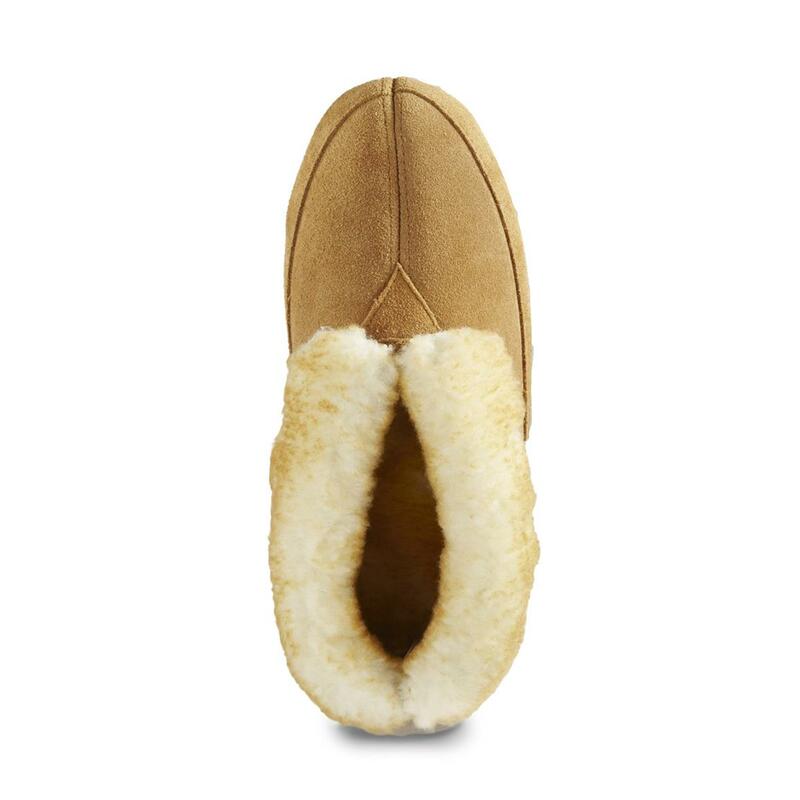 My wife wears these slippers-out. 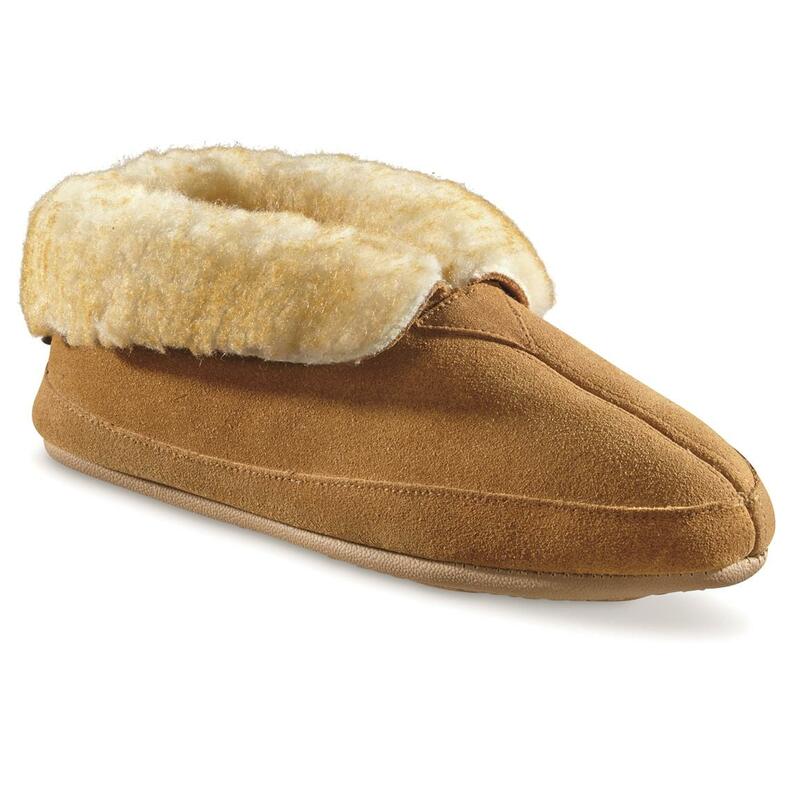 She say they are perfect, snug and warm and made well. On her third pair over the years. Thanks SG, keeps the wife happy. 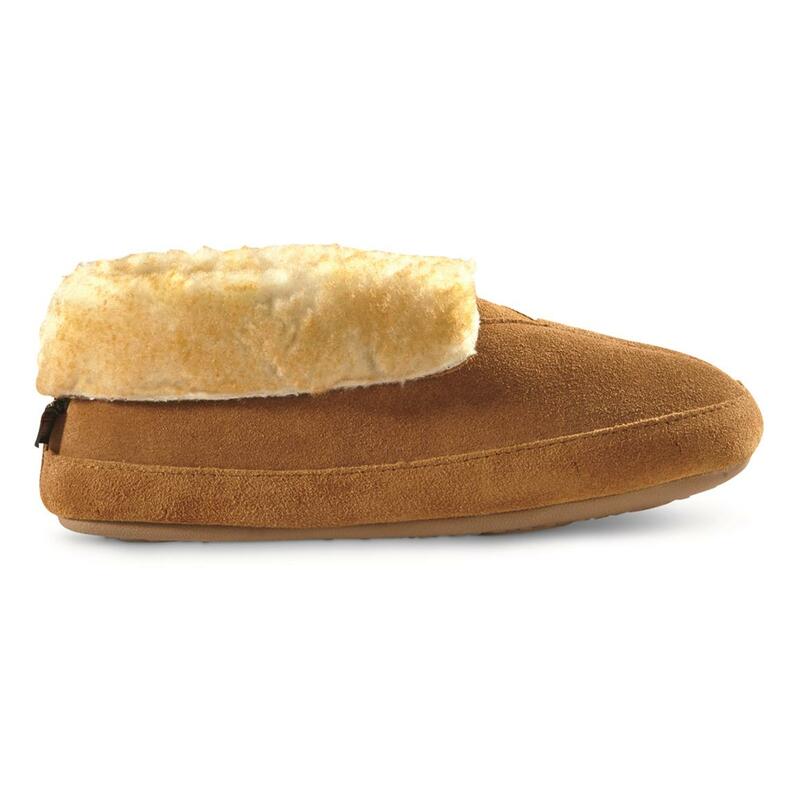 Rated 5 out of 5 by Z Rey from Great Mother-in-Law slipprs My mother in law lovers these slippers, so I get her a pair each year for her birthday. Keep your mother in law happy and buy her a pair. Rated 5 out of 5 by Scooter from Great Product Very warm and comfortable slippers. Previous exact shoes were beginning to show wear after years. Guide gear is the only ones we have. Rated 5 out of 5 by tinajo from My feet are warm! Haven't taken these off since opened as present last night. My feet are nice and toasty. 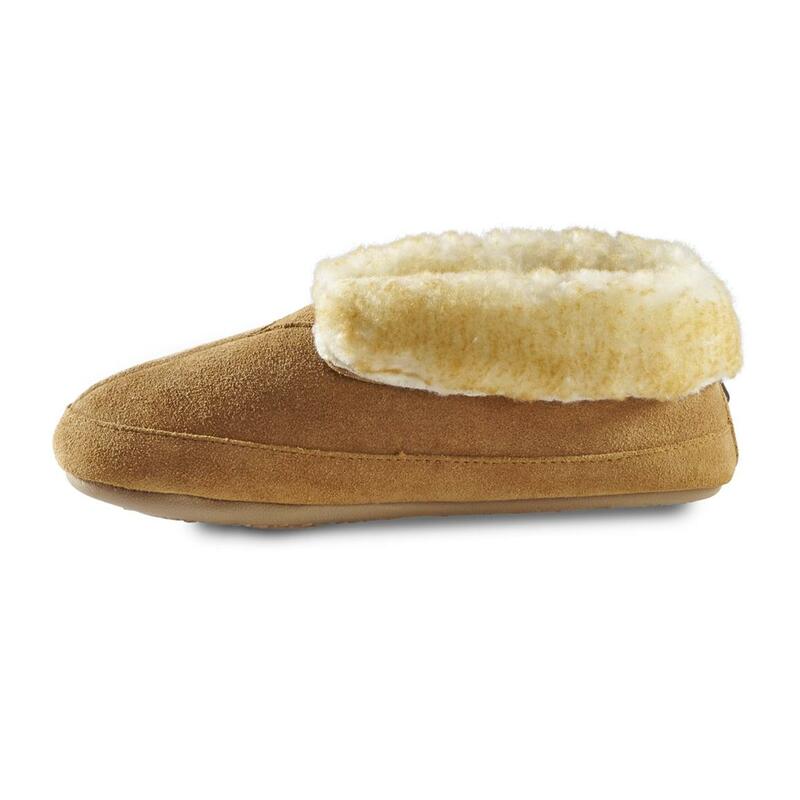 Very comfortable and provide great warmth. I LOVE them! Arrived promptly.